1999 Saab 93 2.0L 4 Cyl. 2000 Saab 93 2.0L 4 Cyl. Notes: Engine Oil Pan -- (Gasket Not Included); Pan Only; Shield Not Included; Reuse OEM Shield. Ensure Proper FitTo confirm that this part fits your vehicle, enter your vehicle's Year, Make, Model, Trim and Engine in the Compatibility Table. Part Number: SAP01A. Key Search Words - 2000 : oil pan, engine oil pan, pan. l4 GAS DOHC Naturally Aspirated. This part fits vehicles made in the following years 1994, 1995, 1996, 1997, 1998, 1999, 2000. Part Number: SAP02A. MFG Model # (Series) : SAP02A. Key Search Words - 2000 : oil pan, engine oil pan, pan. Oil Pan Capacity (qt) : 6.34. Oil Pan Depth : 5.5. 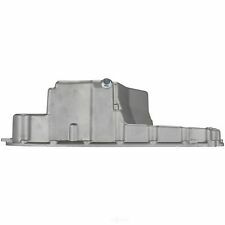 Oil Pan Material : Aluminum Casting. This part fits vehicles made in the following years 1999, 2000, 2001, 2002, 2003, 2004, 2005, 2006, 2007, 2008, 2009. Your credit card will be credited for the full price of the product. Part Number: SAP01A. Warranty Duration:Other. We at Phileocom understand that parts for automotive repair are a necessity item. When cars breakdown, car owners are left with little alternative than to fix them up again. Part Number: SAP02A. Warranty Duration:Other. We at Phileocom understand that parts for automotive repair are a necessity item. When cars breakdown, car owners are left with little alternative than to fix them up again. Part #: SAP01A. Se habla espanol. Part Number: SAP02A. MFG Model # (Series) : SAP02A. Key Search Words - 2000 : oil pan, engine oil pan, pan. Oil Pan Capacity (qt) : 6.34. Oil Pan Depth : 5.5. Oil Pan Material : Aluminum Casting. To confirm that this part fits your vehicle, enter your vehicle's Year, Make, Model, Trim and Engine in theCompatibility Table. Part #: SAP02A. Se habla espanol. 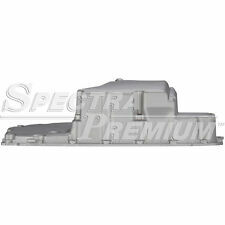 Spectra SAP01A Oil PanSpectra SAP01A Oil Pan. Public Forums. Need to make a change?. Disclosure of Information Policy. Your credit card information is encrypted while traveling the Internet. For their protection, we ask that children do not submit information to us without the consent of a parent or guardian. Part Number: SAP01A. Warranty Duration:Other. Part Number: SAP02A. Warranty Duration:Other. Part Number: SAP01A. Warranty Duration:1 Year. Part Number: SAP02A. Warranty Duration:1 Year.